There are so many makes and models of cars in the world that it’s hard to keep track of which ones are the best. There are however, some brands which cost a lot more than others, such as Ferrari and Lamborghini. These cars, while they’ve been engineered to perfection, are sometimes more of a status symbol than anything else. These ten most expensive cars fall in the latter category; they’re not everyday cars which you’d drive around… you’d just want to own one for the sake of owning one. 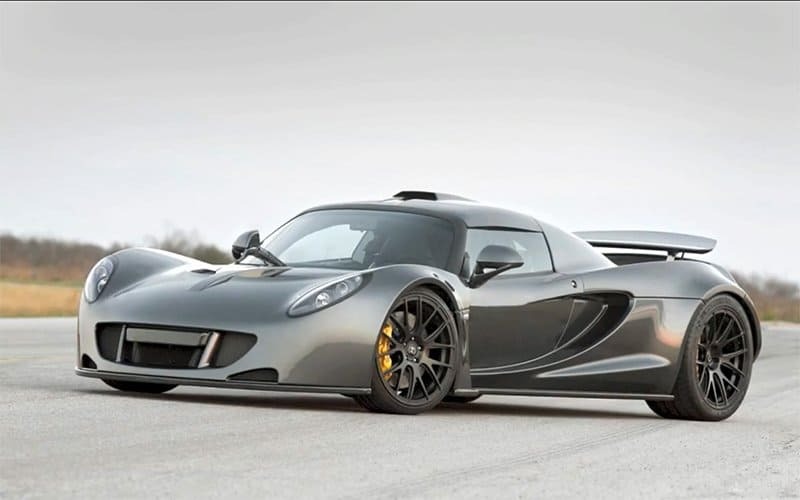 The Hennessey Venom GT has been dubbed one of the fastest production cars created; capable of reaching a top speed of 271 miles per hour (or 436 km/h). Now that’s fast. The Venom GT comes with a mind-boggling 1,500 horsepower and a 7-liter twin-turbo engine. This results in the car capable of reaching 60 mph in two seconds. While this may be one of the cheaper cars on the list, priced at $1.1 million; it’s one of the fastest. The Pagani Huarya will set you back close to $1.4 million; so you better start saving. 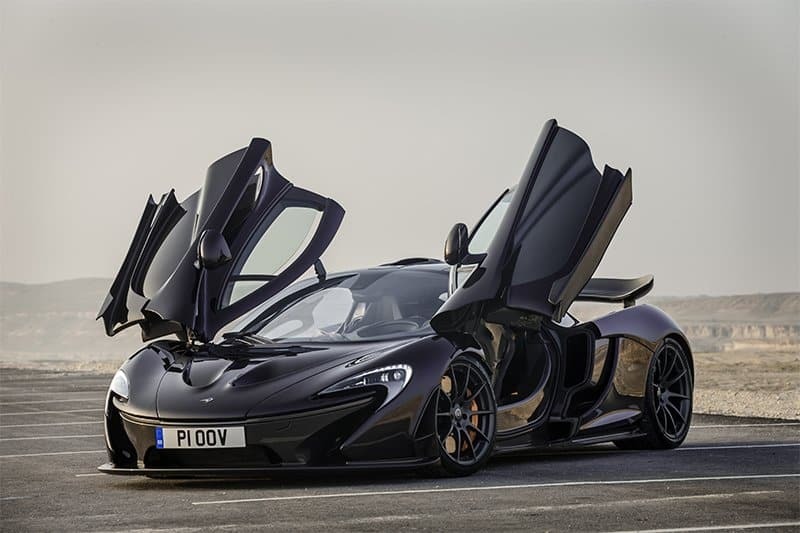 The McLaren P1 is one of the most expensive cars in the world. While only 375 of the cars were available for sale, which have unfortunately all been bought, it’s not an everyday car that you could just waltz up to a showroom and purchase. Valued at $1.5 million dollars, this car will set you back the equivalent of a luxury home in a top neighborhood. 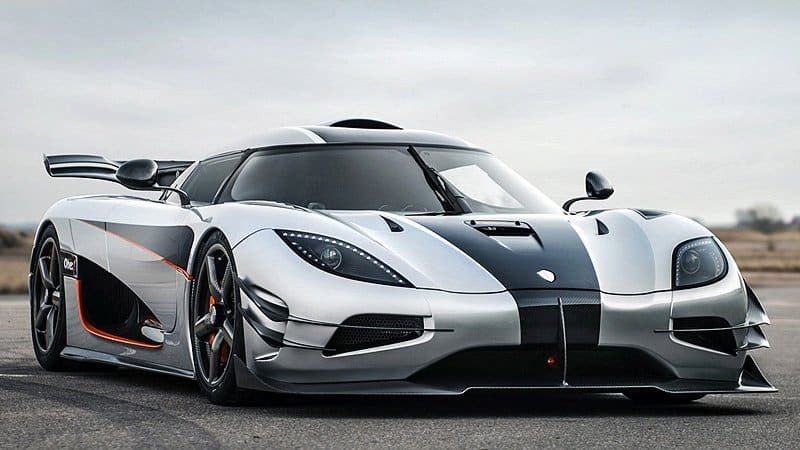 The Koenigsegg One:1 was introduced in March 2014 at the Geneva Motor Show. The One:1 is capable of achieving a top speed of 281.5 mph (or 453 km/h), accelerating from 0-60mph in just 2.8 seconds. It’s time to reach 400 km/h is just 20 seconds. The One:1 has been dubbed the world’s first megacar, fitted with a 5.0-liter twin-turbo V8 engine, capable of producing 1,360 horsepower. This car will set you back $1.5 million. The Ferrari LaFerrari will set you back nearly $1.7 million. While not the most expensive car on this list, it’s still a fairly hefty price tag. With only 499 cars being manufactured, it is a limited production hybrid sports car. The LaFerrari houses a 6.3-liter V12 engine, capable of producing 790 bhp. This engine is supplemented by a 161 bhp KERS unit, which can provide short bursts of extra power. The Zenvo ST1 is a high-performance hypercar manufactured by Danish company Zenvo. Being the first car created by Zenvo, we’re looking forward to future cars they’ll create. The Zenvo ST1 comes with a 6.8-liter V8 engine, generating a whopping 1,100 horsepower. The top speed of this beast is below that of the Venom GT, at 233 mph (or 375 km/h). This car is capable of reaching 60 mph in a time of 3 seconds, while reaching 120 mph in 8.9 seconds. A car of this caliber will set you back $1.8 million. The Bugatti Veyron is designed and developed in Germany by the Volkswagen group. The current Super Sport version of the Veyron has been recognized by the Guiness World Records as the fastest street-legal production car in the world, with a top speed of 268 mph (431 km/h). 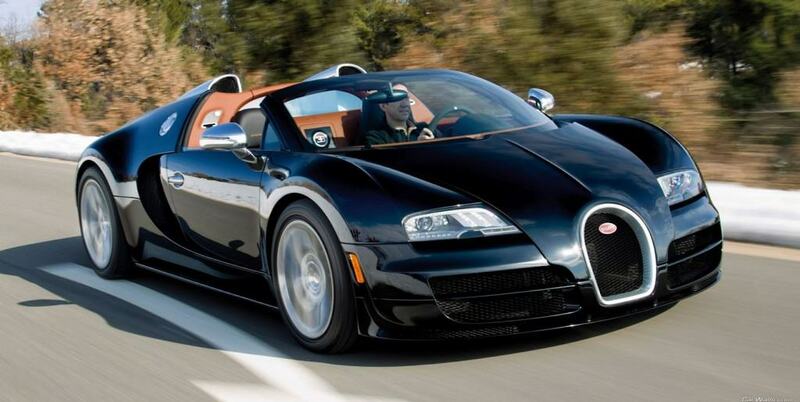 The Super Sport version of the Veyron has a limited edition of only thirty units, with a brake horsepower of 1,200. The Bugatti Veyron Super Sport is priced at $2.5 million. While the Ferrari F60 America hasn’t received an official price yet, it has been estimated to set you back $2.5 million. This car was created to celebrate Ferrari’s 60 years in America. The F60 houses a 740 horsepower V12 engine, capable of speeds of approximately 200 mph (320 km/h). The acceleration of the F60, while it may not be the fastest on this list, is still capable of achieving 0-60 in 3.1 seconds. The Lykan Hypersport is a limited production sports car manufactured by Lebanese based company, W Motors. It is the first supercar to be produced in the Middle East, and is one of the most expensive cars in the world. The high price on the car is due to included options, such as diamond encrusted headlights. The car houses a 3.7-liter flat-six twin-turbo engine from Porsche, capable of producing 740 bhp. The top speed of the car is claimed to be 239 mph (385 km/h), with an acceleration from 0-60 mph of 2.8 seconds. The Lamborghini Veneno is a limited production supercar which was based off of the Lamborghini Aventador. The Veneno was built to celebrate Lamborghini’s 50th anniversary. Only three Veneno’s were available for purchase; a green, red and white version. These colors represent the Italian flag. A fourth car, dubbed Car Zero was also created, however this is a display vehicle and will be placed in Lamborghini’s museum. The Veneno will set you back $4.5 million.